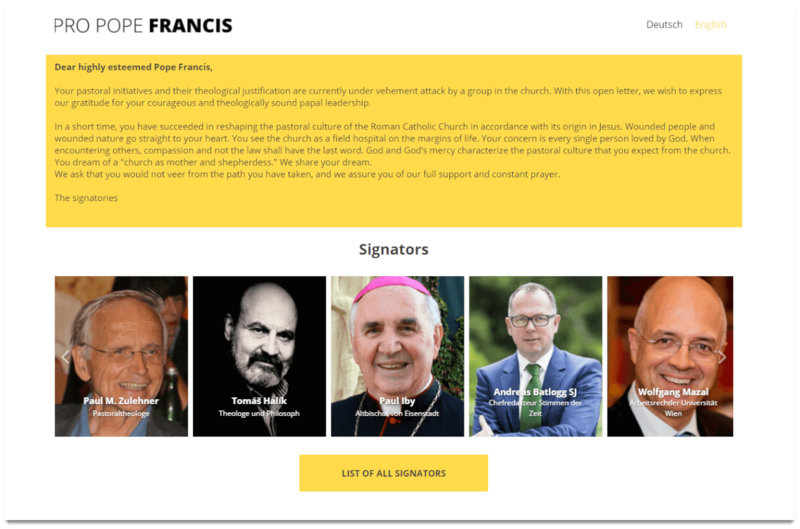 A German-based petition praising Pope Francis has been launched, signed by a handful of bishops and about 100 theologians and others. 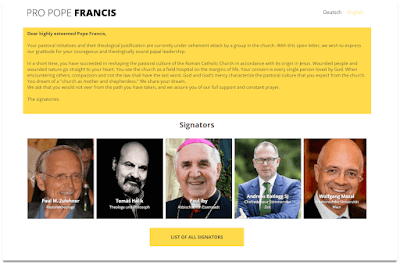 The text of the petition itself is vague: it simply expresses support for Pope Francis' ‘initiatives’ and ‘leadership’. It is interesting, therefore, that despite appearing first on the website of the German Bishops’ Conference — which suggests some kind of official endorsement — so few German bishops have added their names. Indeed, the episcopal signatories one does find are either retired or are auxiliary bishops. It adds to the sense that even quite liberal bishops, who have dioceses to consider, are a bit concerned about the crisis, and are wary of simply throwing themselves into battle on the liberalising side. Every now and then a bishop makes a statement of enthusiasm for a liberal interpretation of Amoris laetitia — the other day it was Cardinal Barbarin’s turn — but these remain very much the exception, not the rule. The signatories are, indeed, obscure and marginal figures. Cynics might say: just like the signatories of the Filial Correction. If so, this is a remarkably poor showing for something supported by the German Bishops’ Conference machinery, ostensibly in support of the Pope. It is obvious what limits the ability of the organisers of the Filial Correction to get big names: the very real danger of losing one's job. What is their excuse? Where are all those hundreds of theology professors in Church-supported institutions? Is it too much to ask them simply to ‘support the Pope’? Instead we find figures who are notorious for their dissent against Papal teaching, who presumably look at Pope Francis’ pontificate a purely tactical light. This isn’t an upsurge of Ultramontanism; as soon as there’s another pope they’ll be back to demanding an independent Church in Germany, as they did under Pope Benedict. Martha Heizer — the President of the Austrian grass-root organization “We Are Church” (Wir sind Kirche) — was excommunicated by Pope Francis in May of 2014 for having, together with her husband, “celebrated” repeatedly Holy Mass in their private home and in the presence of guests. This makes a mockery of the criticism of the Filial Correction for being signed by Bishop Fellay, Superior of the SSPX. Bishop Fellay's big crime, in canonical terms, was being consecrated bishop without the mandate of the Holy See, back in 1988, for which the penalty is excommunication. But Pope Benedict lifted that excommunication in 2009. Fellay and Heizer are clearly moving in very different directions, vis-a-vis canonical regularity. V. Let us pray for our holy Father the Pope. R. The Lord preserve him, and give him life, and make him blessed upon earth, and deliver him not up to the will of his enemies. O Almighty and eternal God, have mercy on thy servant Francis, our Pope, and direct him according to thy clemency into the way of everlasting salvation; that he may desire by thy grace those things which are pleasing to thee, and perform them with all his strength. Through Christ our Lord. See also the LifeSiteNews report. The flakiness of the signatories is very striking, but then so is the vapidity of the content. There's no attempt to respond to the substantive points at all, which just makes their case seem weaker. Indeed, Riddley! Is this really the best that Germany and Austria’s finest minds could come up with? It reads like a heap of trite copy churned out for them by the office junior while they were away enjoying an extended lunch. The first and third paragraphs are full of the puerile sycophancy with which a pupil might address a favourite schoolteacher, and the rest is pitched at the literary level of a sentimentalised greetings card. The expressions “wounded”, “pastoral culture” and “dream” are all articulated repetitively - whether in an attempt at some kind of rhetorical emphasis or just clumsily written, it’s difficult to say. Then there’s the fawning plagiarising of PF’s “field hospital” metaphor. “Compassion and not the law shall have the last word”. Subtle, it ain’t. Couldn’t these towering intellects be bothered to write anything vaguely original or intelligent? 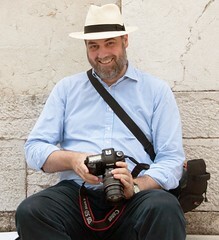 The fact that German clerics---pastors in a land awash with all sorts of doctrinal, moral and liturgical abuses and massive apostasy---feel the need to "defend" Pope Francis from true and legitimate criticism tells the whole sordid story. Did Pius V, Pius IX, Leo XIII, Pius X, or Pius XII (to choose incompletely from a list of admirable popes) need any defense about controversies they themselves caused and which touched the deposit of Faith? We know the answer.